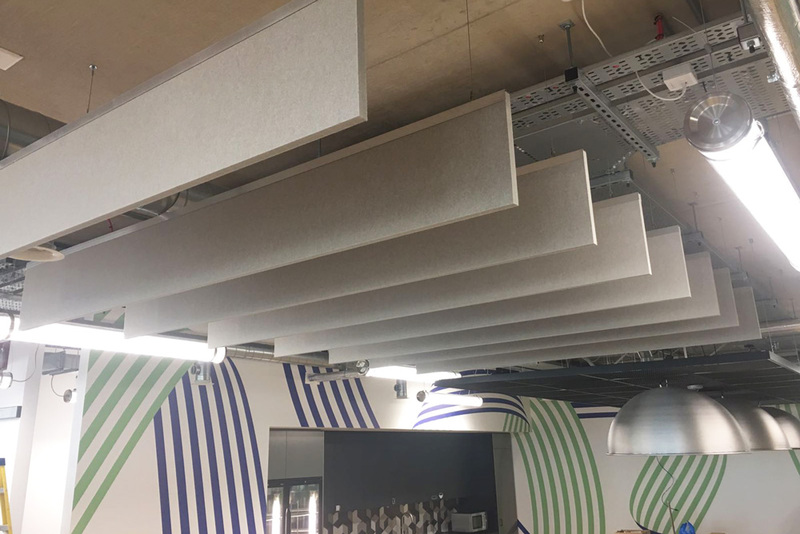 As part of the refurb of Adobe’s London offices, Resonics was called in to provide acoustic solutions to the meeting rooms and open-plan spaces within the office. 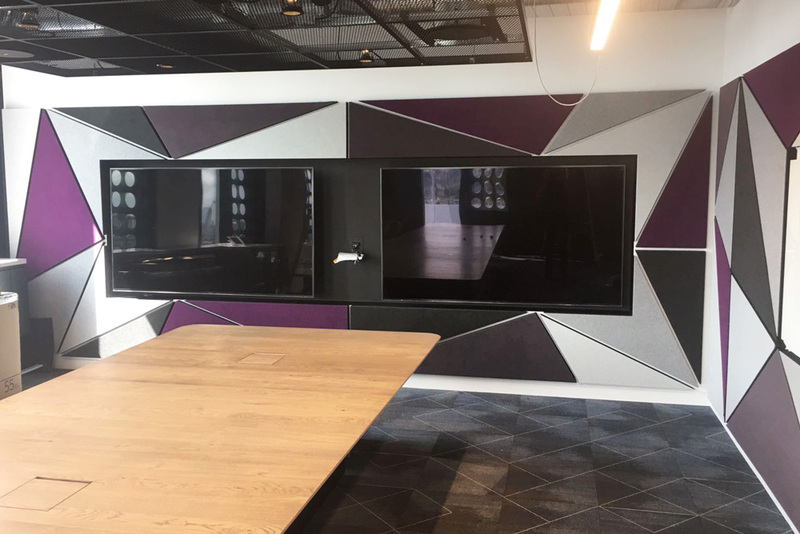 As per the project brief, the acoustics had to be versatile, vibrant and punchy, acting as room features rather than discreet panelling. 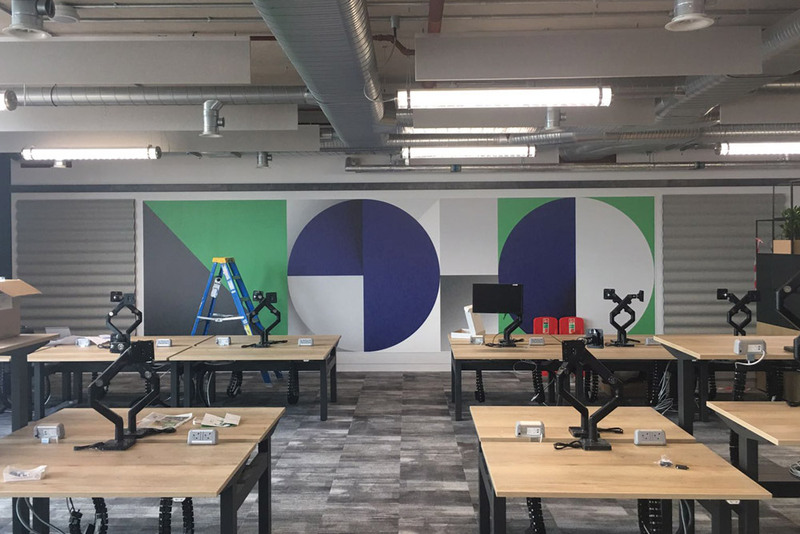 To achieve this we used Autex’s Cube panelling, a highly versatile, made-to-cut panel, which can serve a multitude of uses, including pinboards and partitioning. 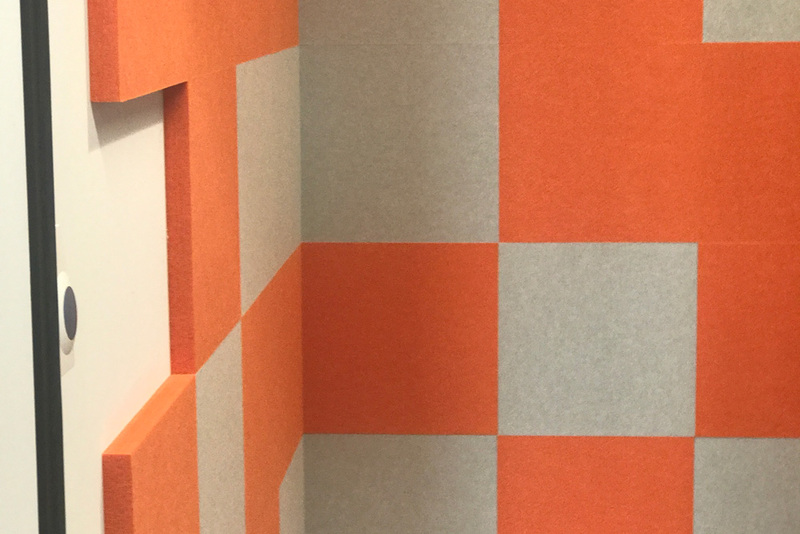 We custom-cut Cube to be used as wall features in meeting rooms and as baffling in workspaces. 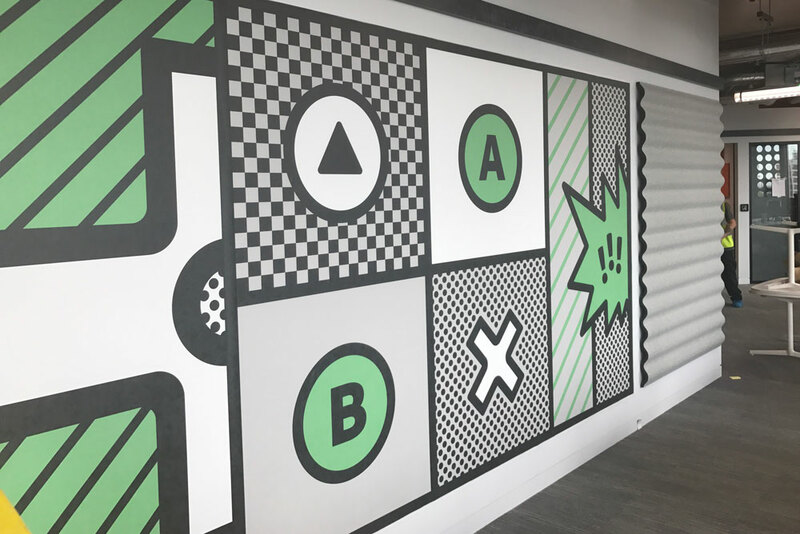 Abstracta Scarla panels were also used to give an added textured touch to the space.